If you ask me for a reason to go to One City, I will tell you it’s The Cellar Signature. 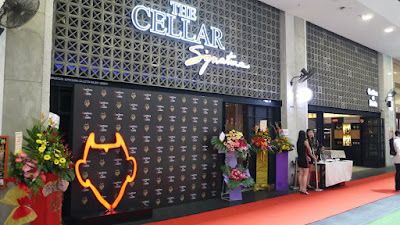 We can now enjoy the revolution of the New World Wine in Malaysia only at The Cellar Signature, a newly opened wine bar and restaurant at the Ground floor of One City USJ. 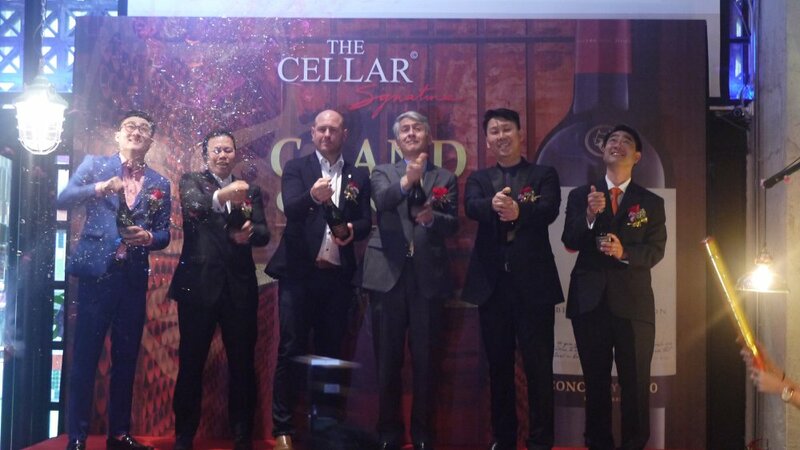 We were honoured to be invited to the Cellar Signature’s Grand Opening ceremony on a lovely Friday, 19 Jan 2018 in One City USJ. 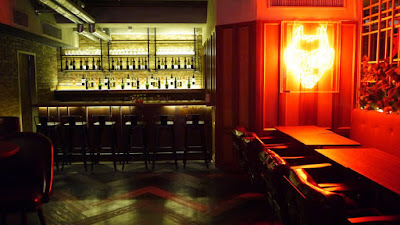 As Viña Concha Y Toro’s first official outlet in Asia, The Cellar Signature provides a good ambiance place for everyone. 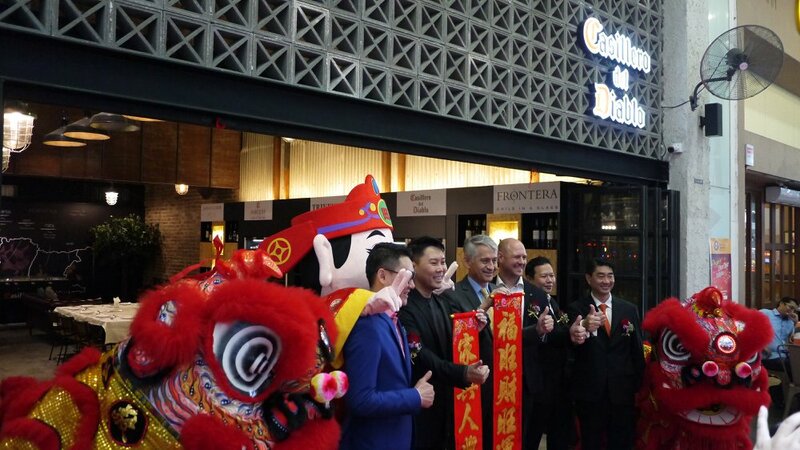 The grand opening event was really happening, with lions dance and other activities. We took the chance to walk around the restaurant, we like it’s spacious, comfortable dining area as well as the exclusive VIP rooms if you want some privacy. 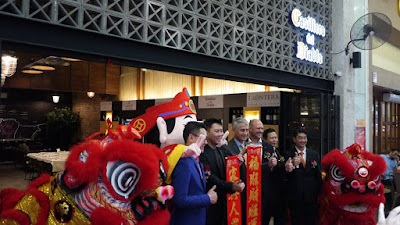 There, we learnt that The Cellar Signature @ One City is in collaboration with VCT Group of Wineries Asia and officiated by H.E Rodrigo Perez, Ambassador of Chile to Malaysia. Provinage, the First New World Wine Club in Malaysia is also launched with The Cellar Signature. 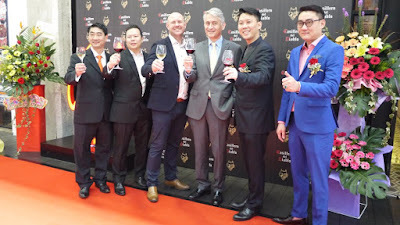 This is indeed a big milestone to raise the awareness of New World Wine that has been under-rated by the Old World Wine in Malaysia. Now, many Malaysian tends to think that the Old World Wine is better than the New World Wine but this is not true. In fact, both the New World Wine and Old World Wine are equally good and paired well with fine cuisine. 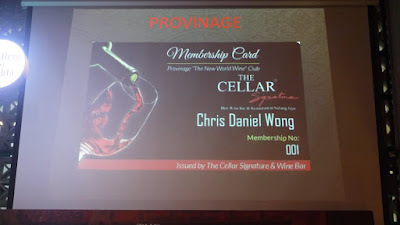 The purpose of the Provinage is to promote the understanding and appreciation of the New World Wine through education and tasting, while developing a social group for people who are interested in the New World Wine. 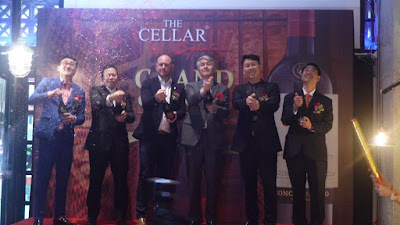 “I used to think that French wine is the best but after trying Palo Alto in Cellar Signature, I realized that the New World Wine can be better as the “immediate” taste of the first sip of the wine in my mouth is so overwhelming and so good.” Said Mr Andy Chan, owner of SKMart during the launch. 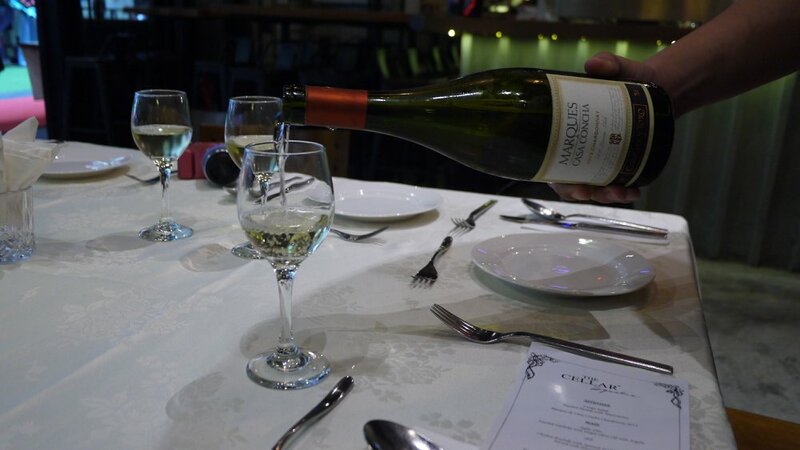 We had an intimate lunch and wine tasting prepared by Kenny Chin, Head Chef of The Cellar Signature @ One City after the launch event. Chef Kenny has a wealth of experience from his stint with Mandarin Oriental KL and other 5-star hotel has created a list of gastronomical cuisine such as Cream of Trio Wild Mushroom Soup, Volcano Stone Grilled Sirlon, Sous Vide Proscuitto-wrapped Chicken Roulade that pair and complement the New World Wine. Let see what were the food we had that day. Sauteed Shrimp paired with the sweet deliciousness of watermelon, we loved this juicy, salty and sweet entrée a lot. 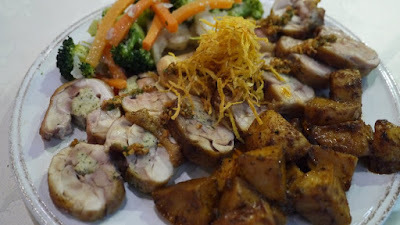 This is by far the best Chicken Roulade we ever had. Unlike many other restaurants that served Chicken Roulade which is dry and tasteless, this dish is indeed juicy and tasty. 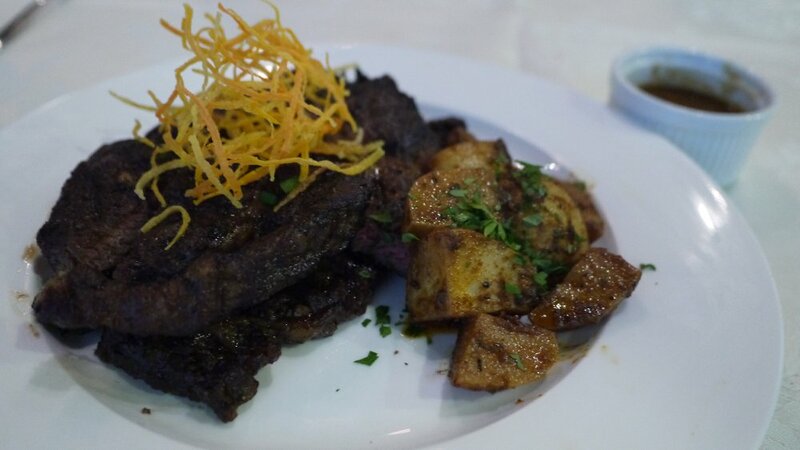 Great for beef lover, the ribeye is meaty and juicy. We especially loved the beet root puree as it complements the rib eye really well. 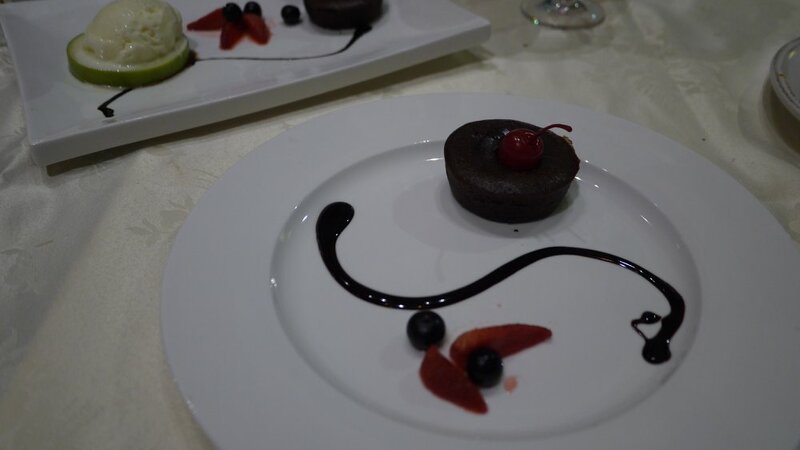 There is always room for dessert especially for this sweet lava cake. 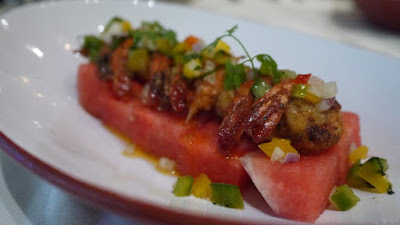 We all love our food and wine at The Cellar Signature. 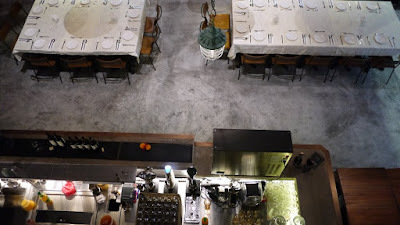 If you are looking for a nice place to dine and wine, you know where should you go. Provinage aims to recruit one hundred (100) exclusive members by invitation only. The club will be organizing monthly wine talks and wine tasting event for the public. Members will have exclusive privileges to wine and dine at the Cellar Signature, hotel room with eCity Hotel and also annual organized trip to the New World Wine Vineyards. Digital 4.0 will also be deployed in the club too where members can share, learn and grow with each other through the Provinage Social Media platform. The best news of all, Provinage will be organizing the first New World Wine Expo in One City USJ supported by the Embassy of Chile and Chilean Trade Commission in Malaysia in September 2018. I can’t wait for more in my Birthday month yay!